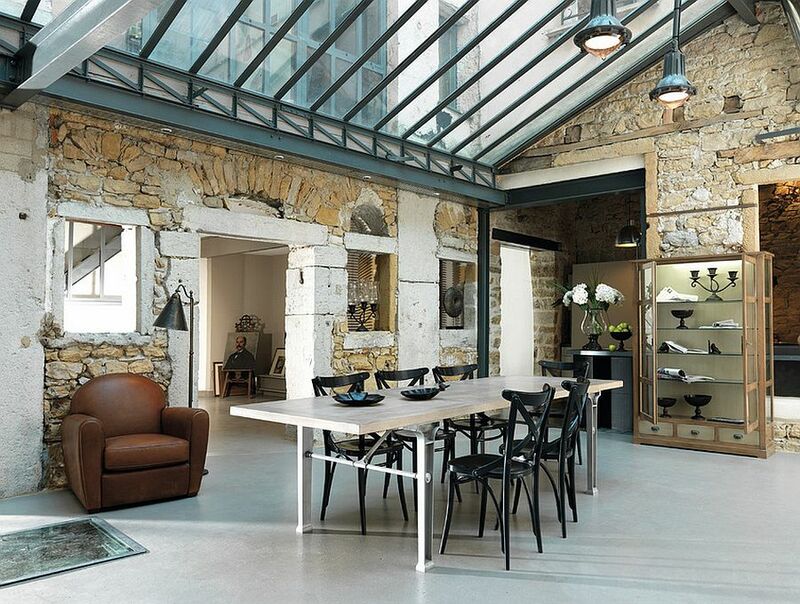 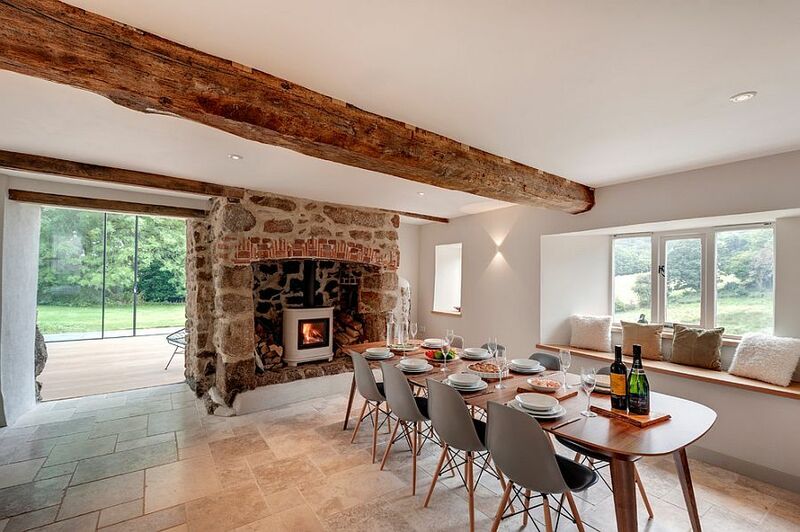 We are absolutely positive that current interior design trends are slowly inching towards styles that firmly bring back a soothing and simple ‘old world charm’ into modern settings. 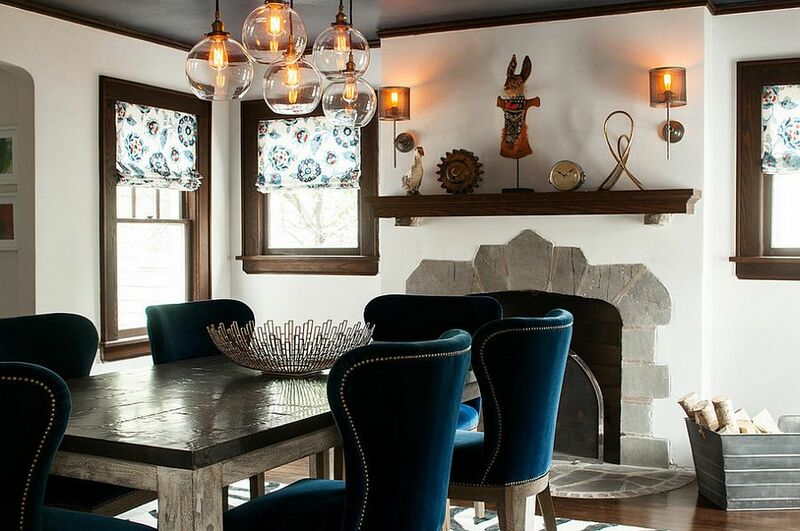 It seems both homeowners and designers are a touch tired of the glossy, contemporary look, and the result is a turn towards styles such as industrial, vintage and rustic, which bring back memories of an era gone by. 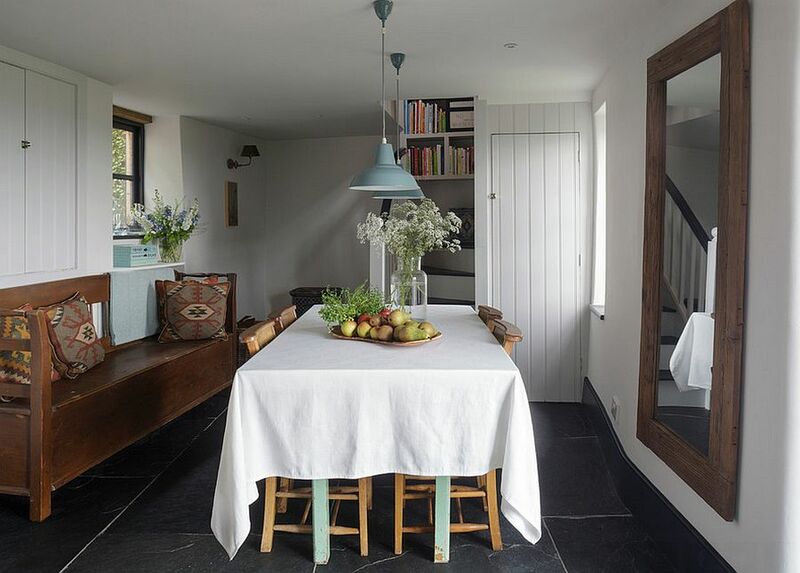 Another decorating style that captures this trend perfectly is ‘farmhouse’, with its lovely blend of contrasting natural textures and a relaxing vibe. 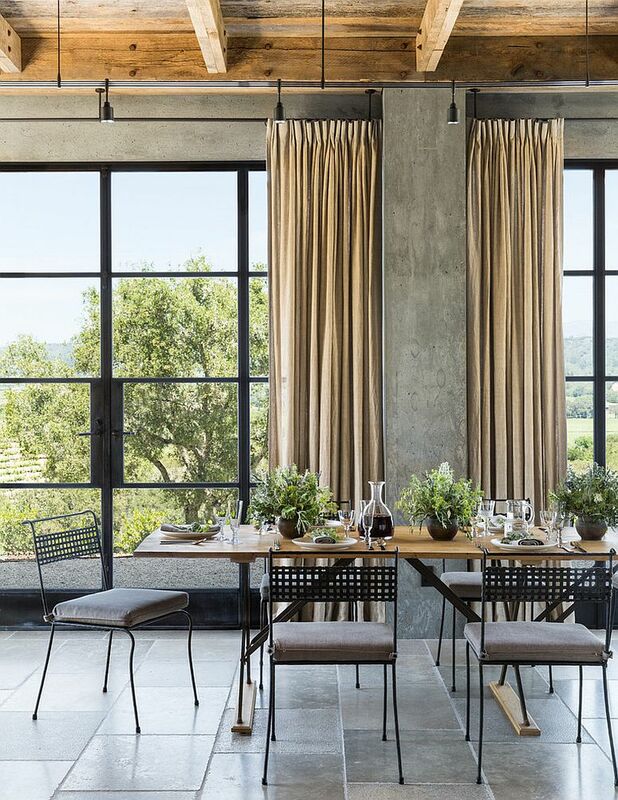 Today we take a look at some of the best farmhouse-style dining rooms around, and each one will surely inspire you in bringing unpretentious simplicity, functionality and inviting warmth to your own dining space. 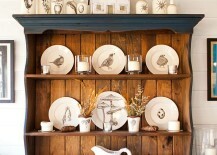 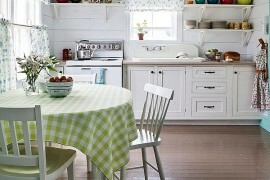 While some strictly reflect the classic country cottage style, others bring the farmhouse look to more modern spaces and blend in diverse elements to produce stunning results. 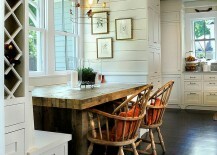 Take a look and you will soon be searching for more excuses to turn towards farmhouse style as well! 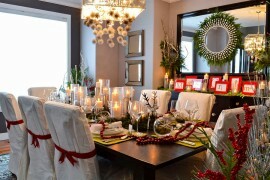 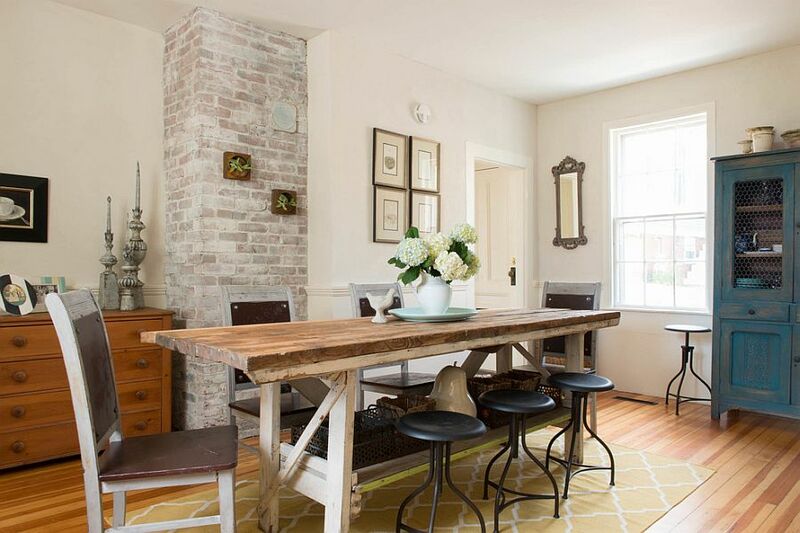 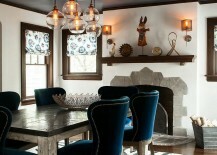 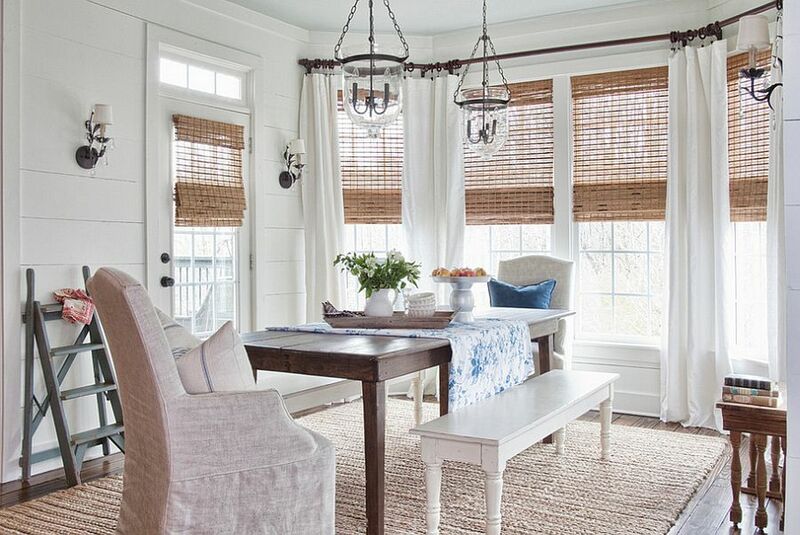 What is the first thing that comes to mind when you think of the dining room? 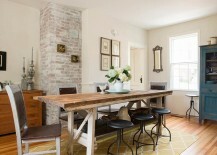 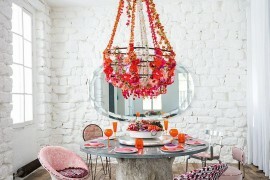 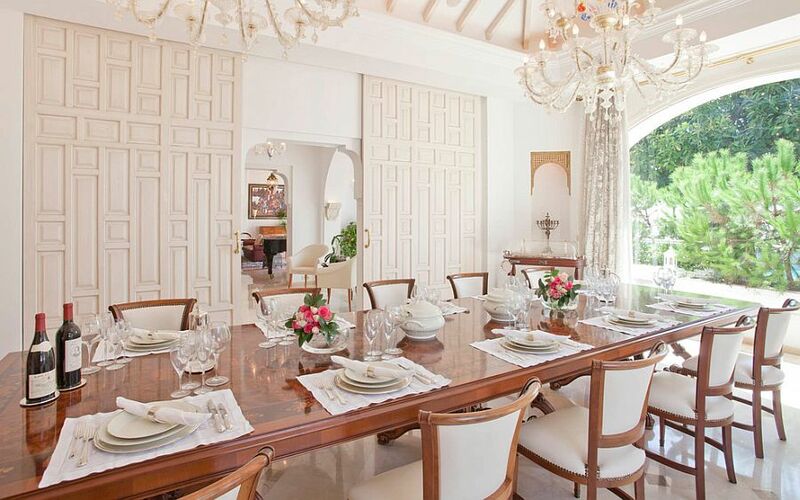 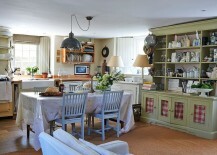 The dining table and the chairs of course! 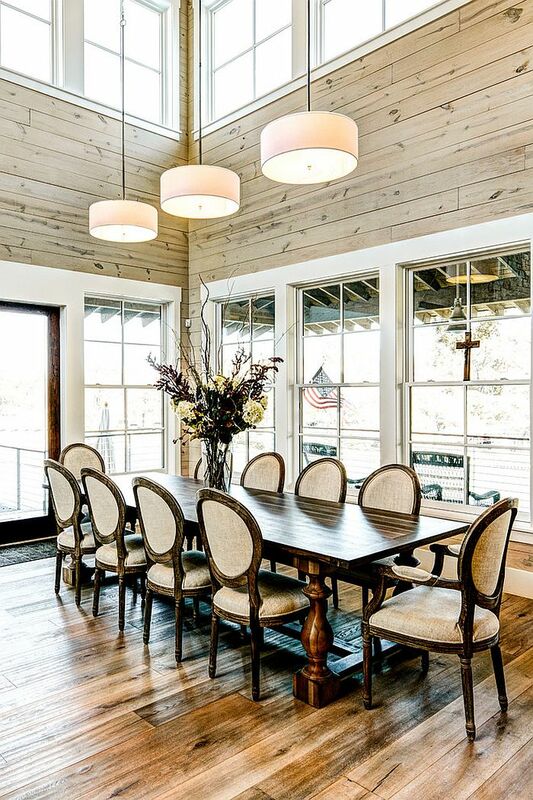 It is essential that you let the table set the style and mood for the rest of the room, and in the case of a farmhouse-style dining space, a classic wooden table is the obvious choice. 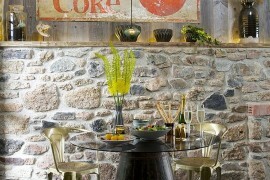 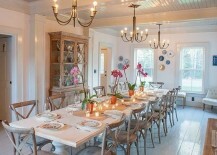 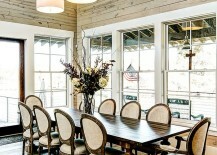 Think of those simple farm tables or even upcycled pieces crafted from reclaimed wood that are not too ornate. 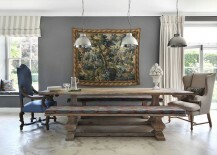 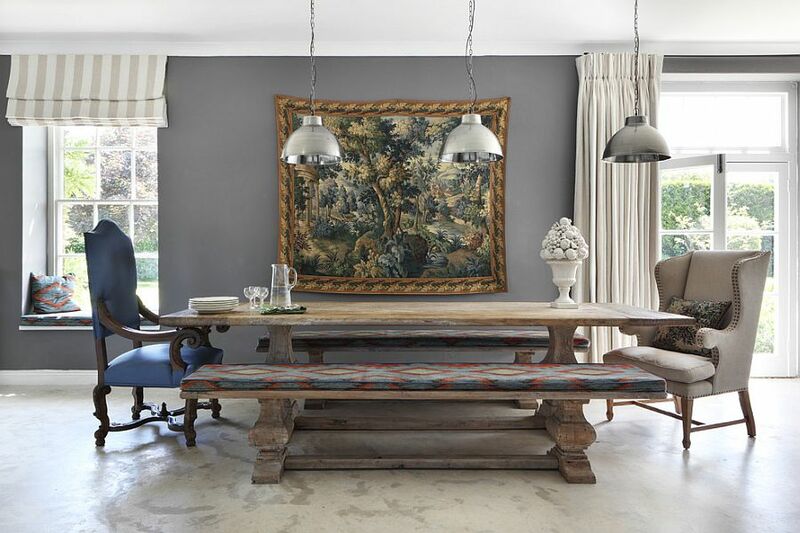 Simplicity is the key here, and once you have the table picked, you can mix and match the seating around it to create a truly exceptional and distinct dining room. 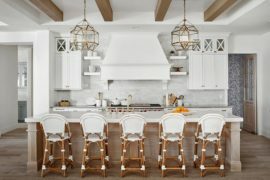 One of the advantages of turning to farmhouse style is that it seems to adapt to changing seasons and trends with minimal tweaks. 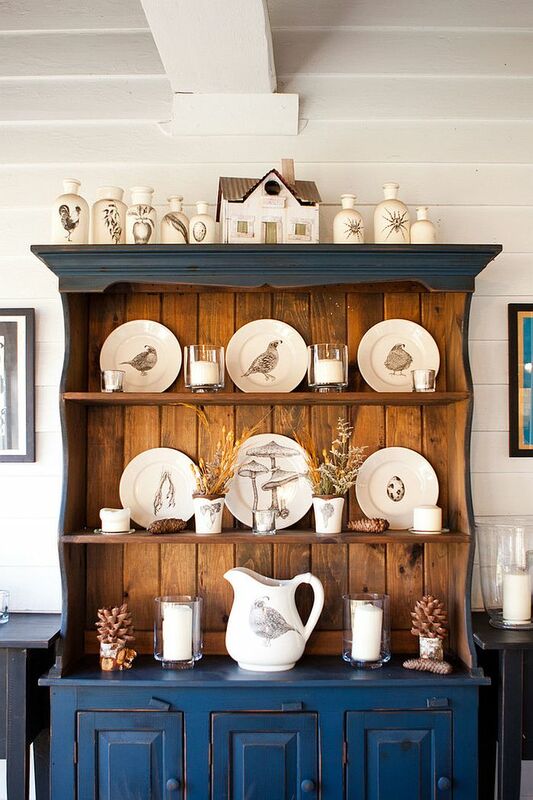 Since summer is all but here and you will soon be planning for fall festivities as well, keep things cheerful and bright with a neutral color scheme and decor in natural materials. 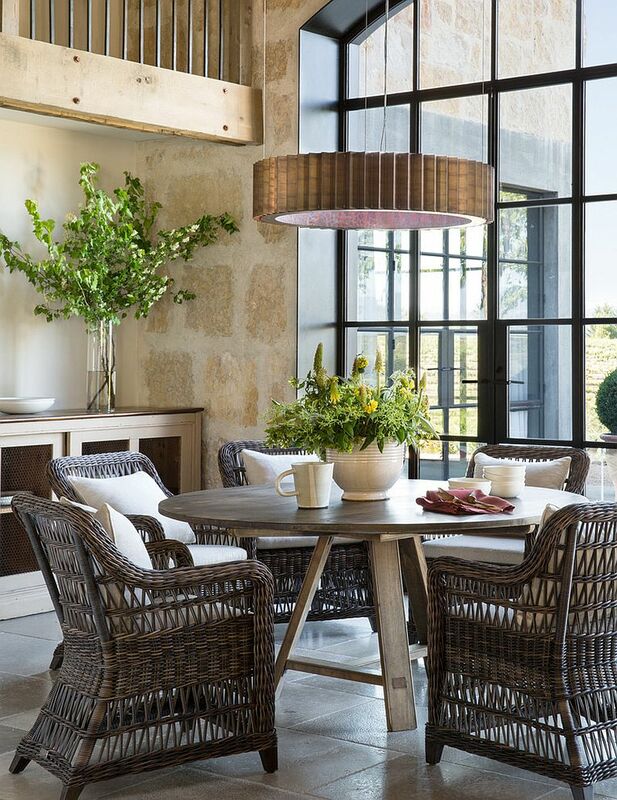 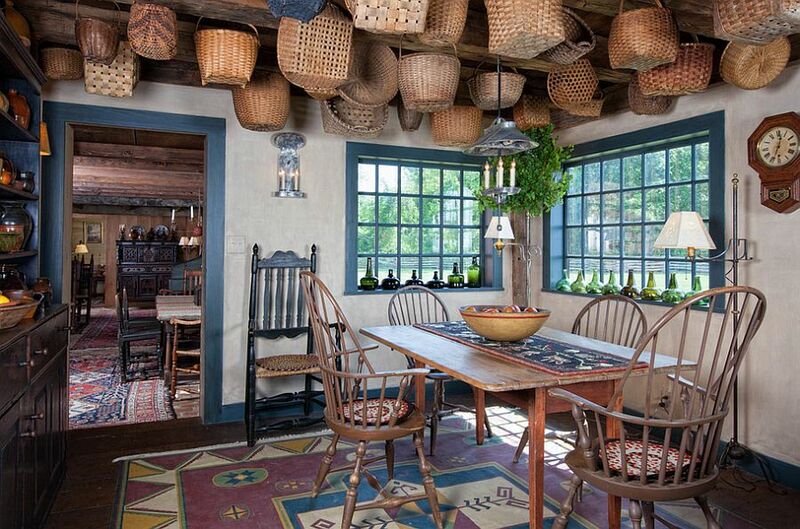 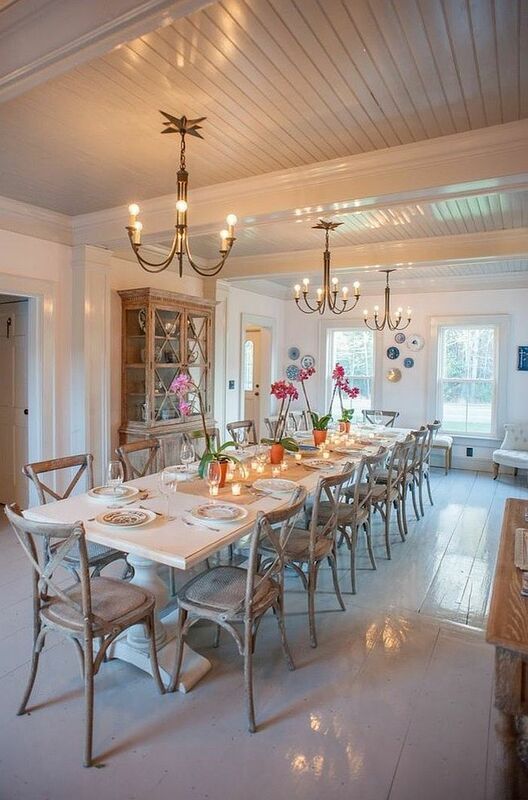 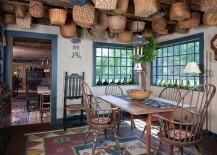 Wicker, bamboo and wooden surfaces in light grain are absolutely ideal for shaping this chic farmhouse dining space. 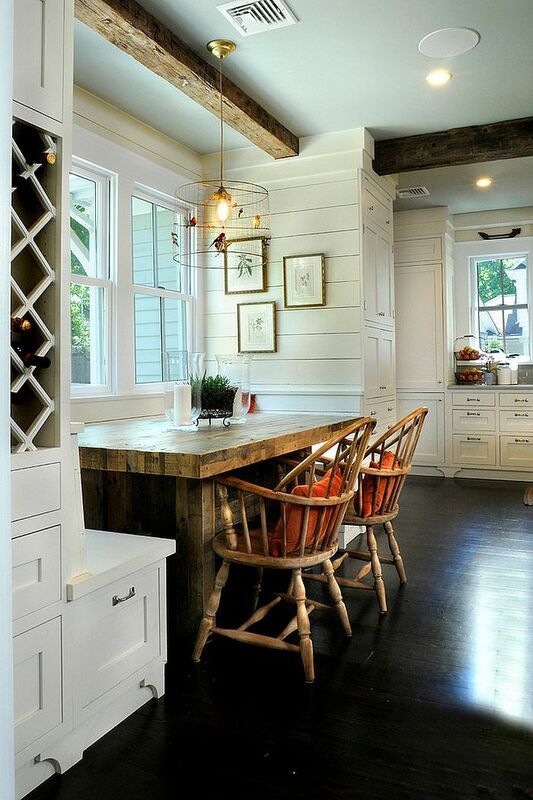 When it comes to farmhouse style, try to be a bit more imaginative than normal and do not paint by numbers. 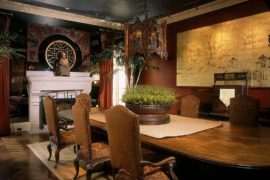 Add unique decorative pieces and accessories that might remind you of your childhood without disturbing the theme of the room. 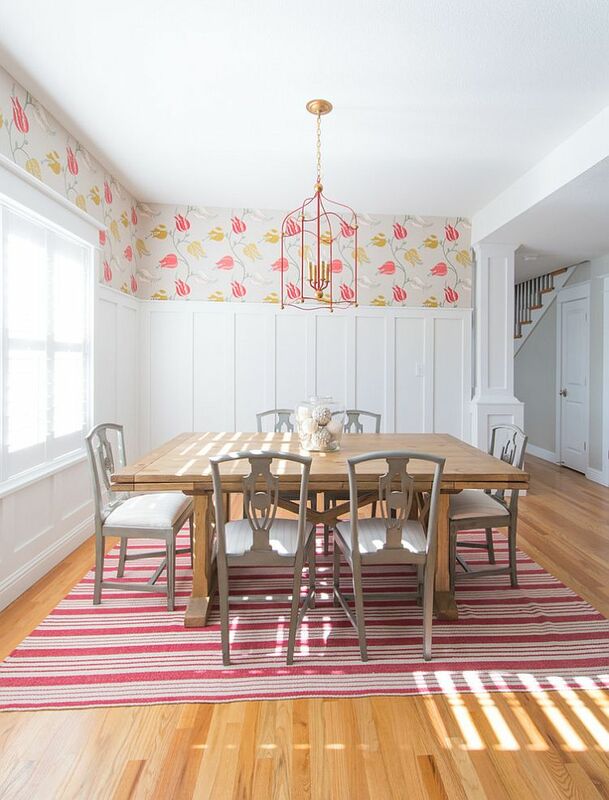 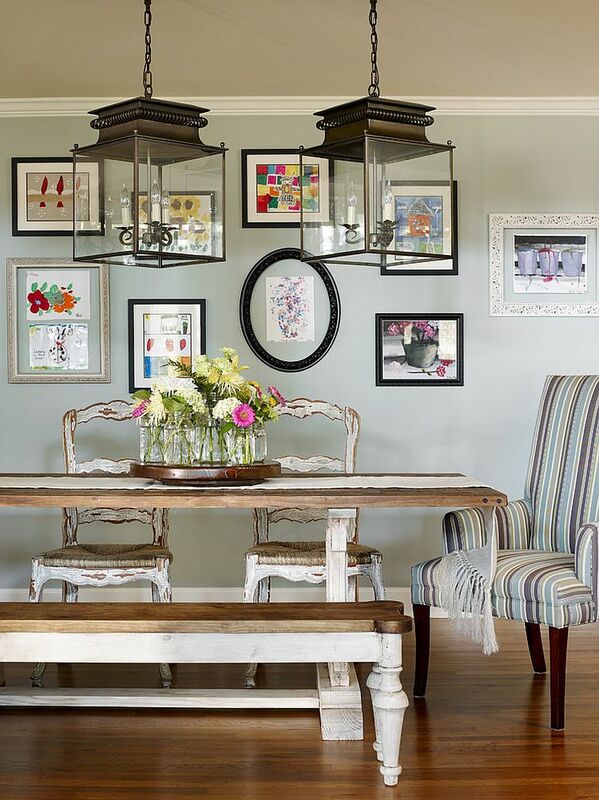 A gallery wall with artwork crafted at home, a few woven baskets, antique stoneware pieces or even the latest flea market find that you uncovered; give your dining room a personality of its own that will charm your friends and guests. 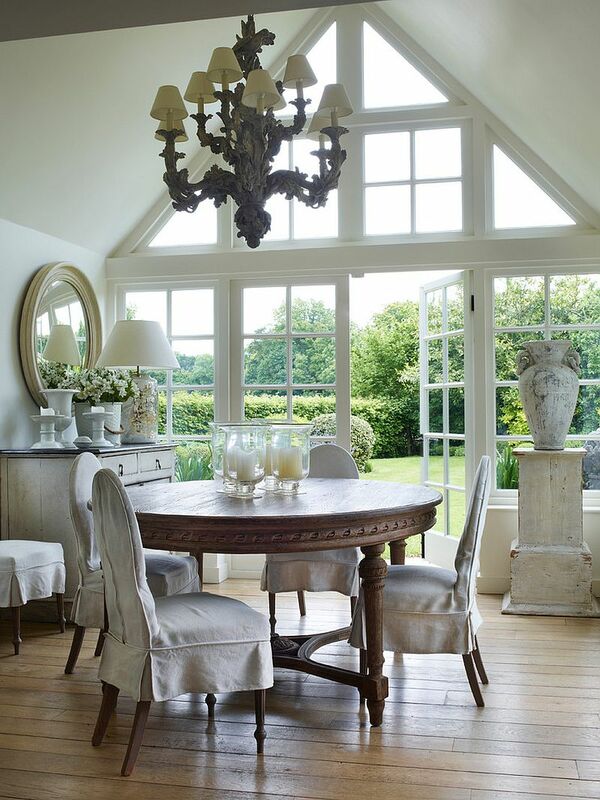 Think simple when lighting the farmhouse dining room and opt for fixtures such as candle lanterns, which fit into the theme perfectly. 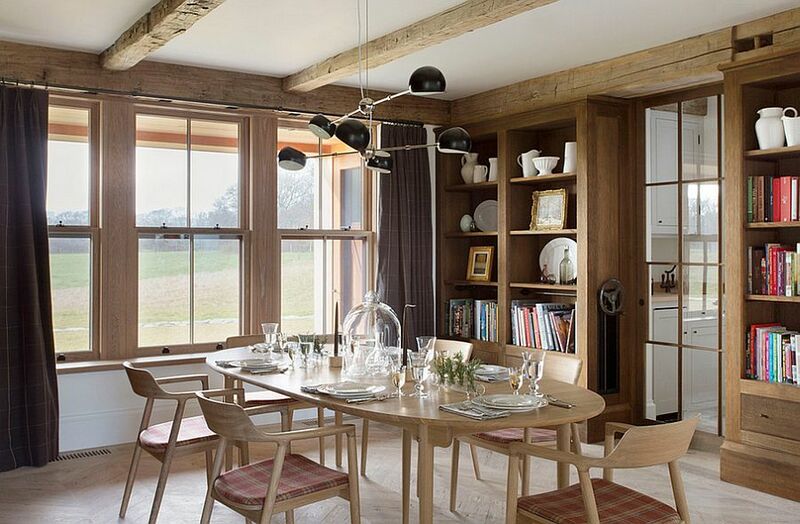 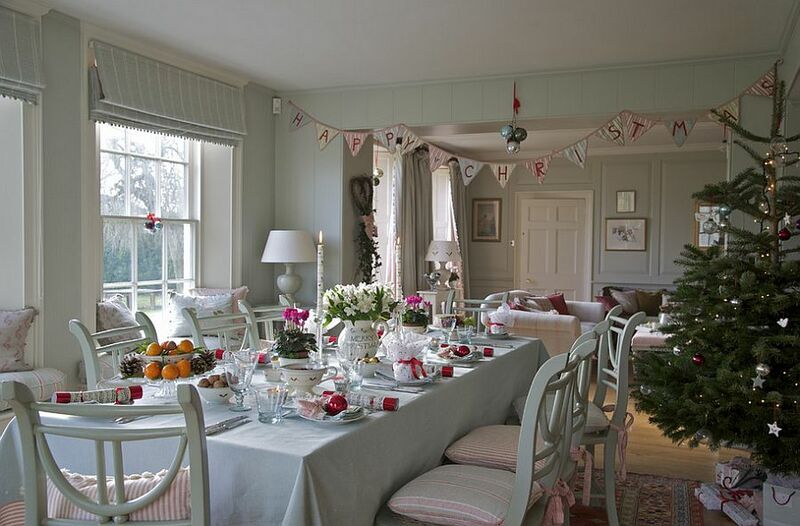 Lighting is key when it comes to elevating the appeal of your country cottage dining space, and as always, it is a sensible balance between natural and artificial lighting that works best. 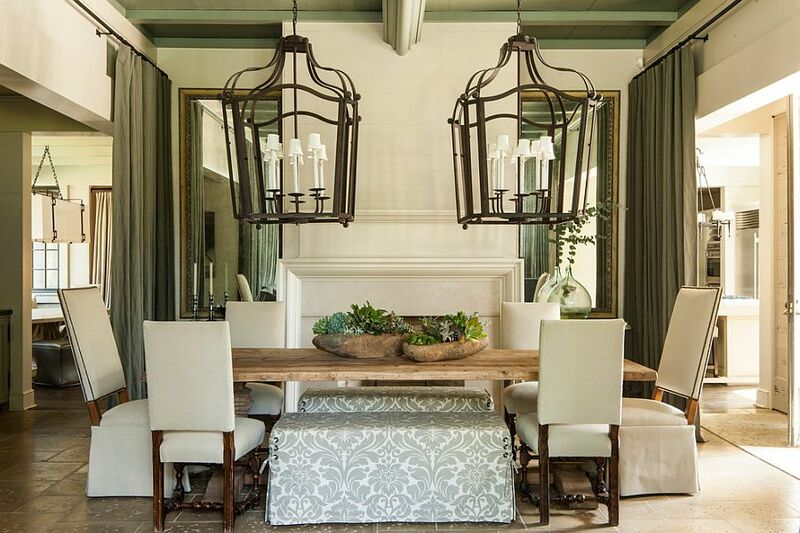 Make sure that the pendant or chandelier you pick steals the show as a standalone addition while adding to the aura of the room. 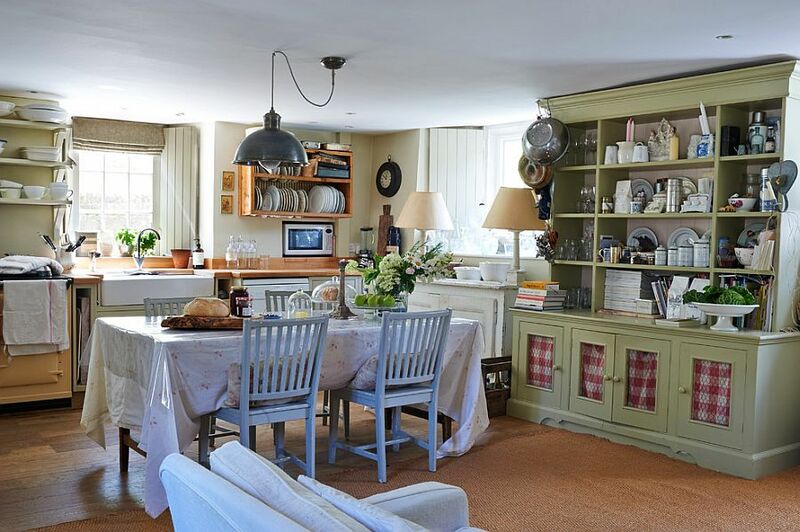 What is a farmhouse dining room without one of those vintage cabinets or buffets in the backdrop that truly sets the mood in the room?! 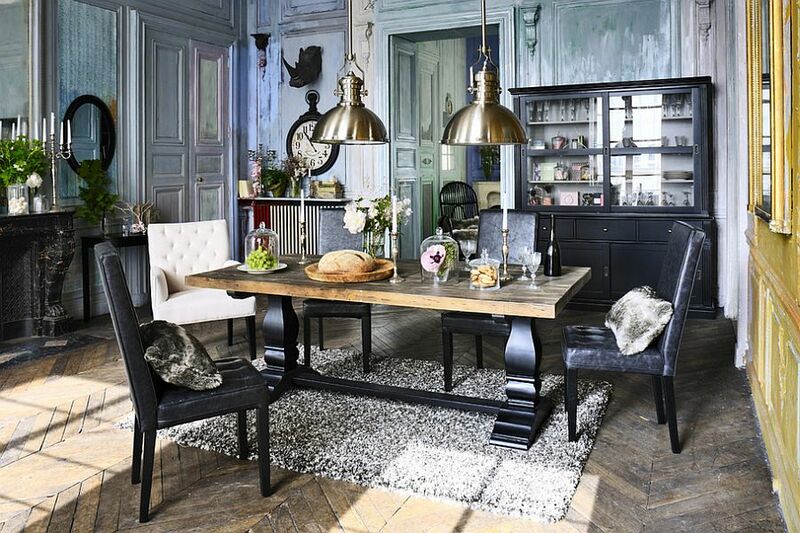 Pick a sideboard crafted in wood or a lovely hutch that lets you display your chinaware proudly without disturbing the style of the room. 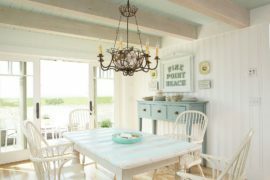 Use some color to let it shine through, and even if you do not have a truly classic piece, try giving it an aged look with a clever custom paint job. 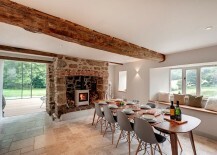 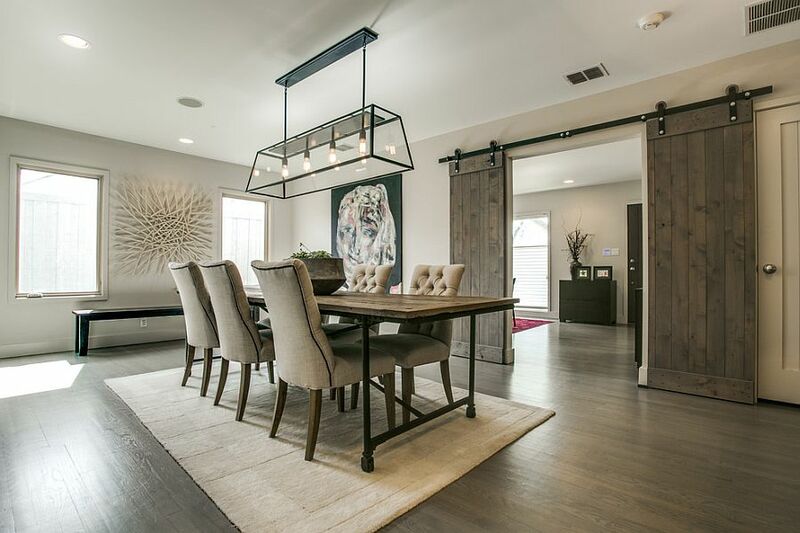 Sliding barn doors have become so popular in recent times that they can be found in rooms with styles ranging from modern minimal to Victorian and industrial. 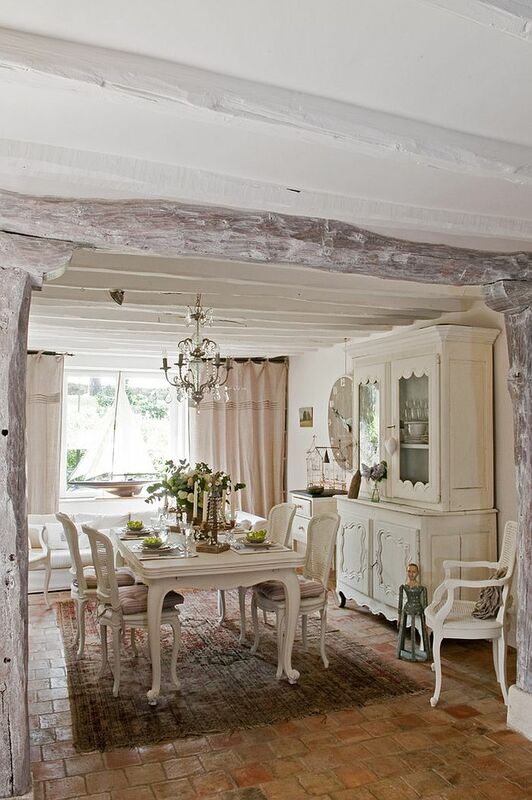 So what better way to shape the entrance of your revamped dining room than by adding one of these sliding wooden delights! 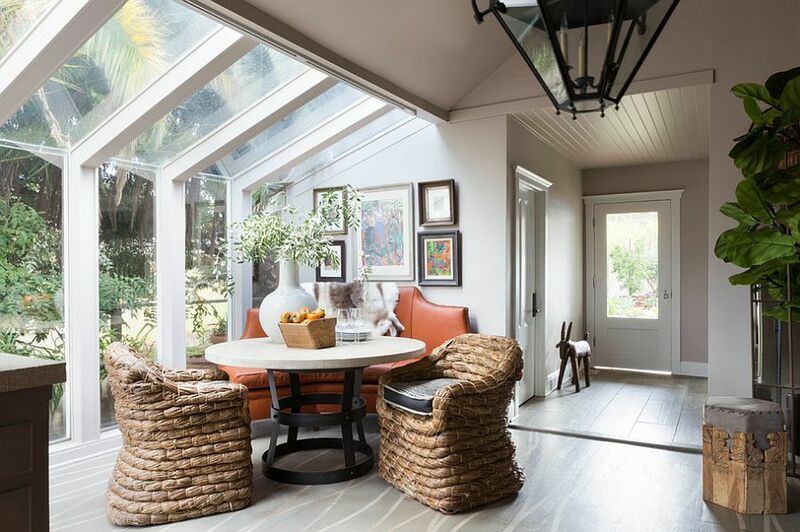 If the barn door seems like a choice that is too rustic or visually unappealing, then try out those timeless French doors that give the dining space an airy and stress-free ambiance.